This was a 25 year old lady who fell on her chest while a cow was chasing her . She had persistent severe pain in the left side of the chest. Xray of the rib cage was reported as normal and appeared to be normal. 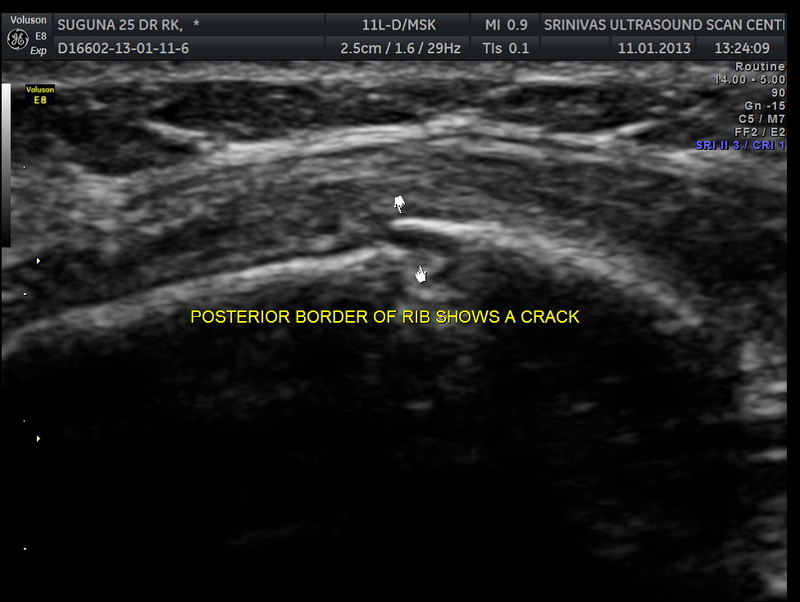 Scan over the point of maximal tenderness ( over the 6th rib on the left side anteriorly) revealed a crack in the bone on the posterior aspect . Probably as it was not a complete fracture it was missed on the xray. The patient was referred to the orthopedic surgeon for further management. 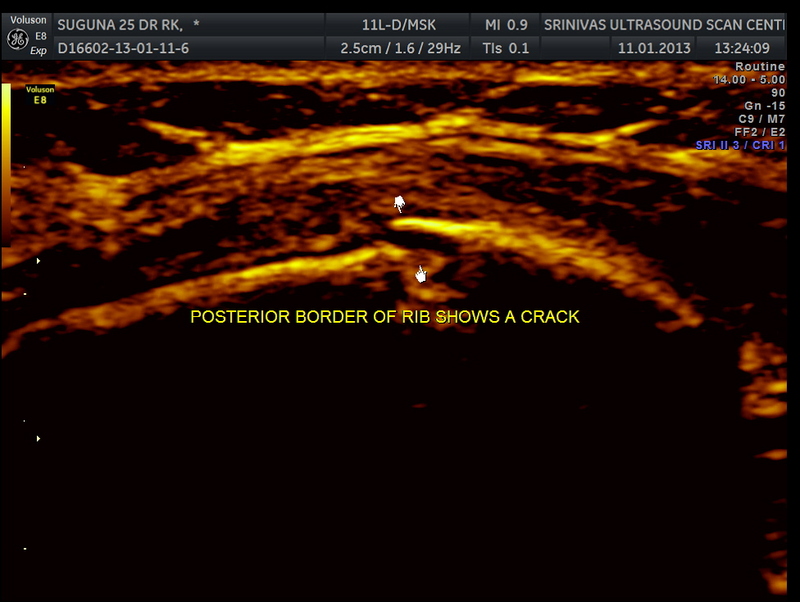 These images are presented to illustrate the need to look beyond conventional thinking and the extended use of ultrasound . US is being used for more applications and the future hold many more! Very nice! I always have people asking me about certain pains and symptoms, and I always tell them to come in, don’t wait for the other imaging modalities. US is the best. This is a great example. Impressive. Is your practice primarily MSK? 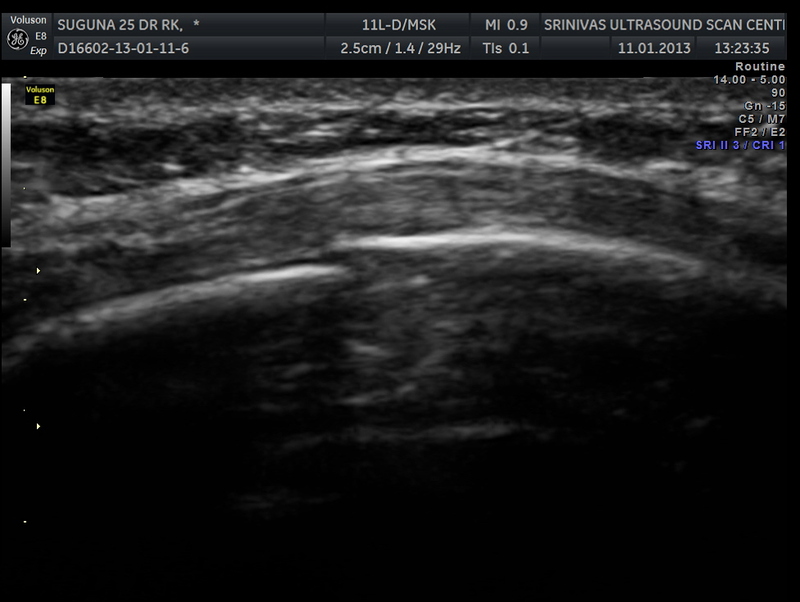 Or do you do general ultrasound? This is a perfect example of ultrasound providing the answer, but of course, there is no billable code for it, so no payment. If only medicine could be practiced with only the pureness of care, compassionate healing and payment and lawsuits didn’t have to get involved. Don’t get me wrong-providing care should be a service to be paid for, but when there is no “code”for those “outside the box” exams, it becomes difficult to stretch the boundaries of scanning. on a lighter note I don’t know what “Dr House ” would say to this. But personally I would say one should go the extra yard at times. But I live in a totally different place with different rules.